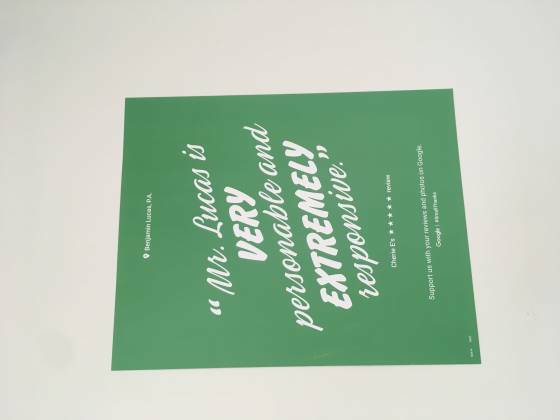 Google sent me a cool poster of one of my good Google Reviews. Thank you for all who took the time to review me on Google. It means a lot!